"Celebrations of the simplest events in life" is how Kathryn described the wealth of images she captured in a career spanning over seventy years. Since the 1940's, her photographs have been reproduced in over eighty books and periodicals, both in the U.S. and abroad. 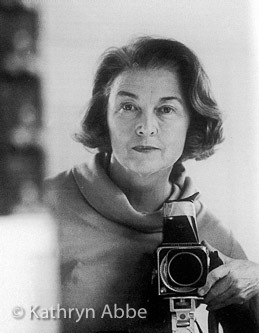 She had more than twenty major magazine covers to her credit - a rare achievement for a female photographer of her time. Better Homes & Gardens, Glamour, Paris Match and Vogue are some of the publications that featured her photographs. She exhibited her work in museums and galleries throughout the world and her photographs are in the permanent collections of, among others, the Akron Museum of Art, the Brooklyn Museum, Guild Hall Museum, the International Center of Photography and the Metropolitan Museum of Art.